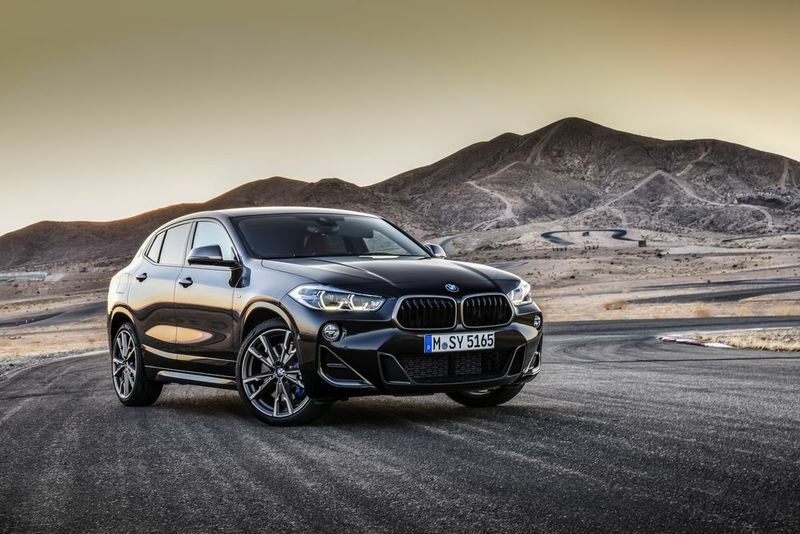 The New BMW X2 M35i is an inline-four preview of the next hot 1-Series an all-wheel drive, inline-four powered machine from M Performance? You'd better get used to it. Here it is, the first ever car from BMW’s M Performance sub-brand with – don’t freak out – an inline-four. 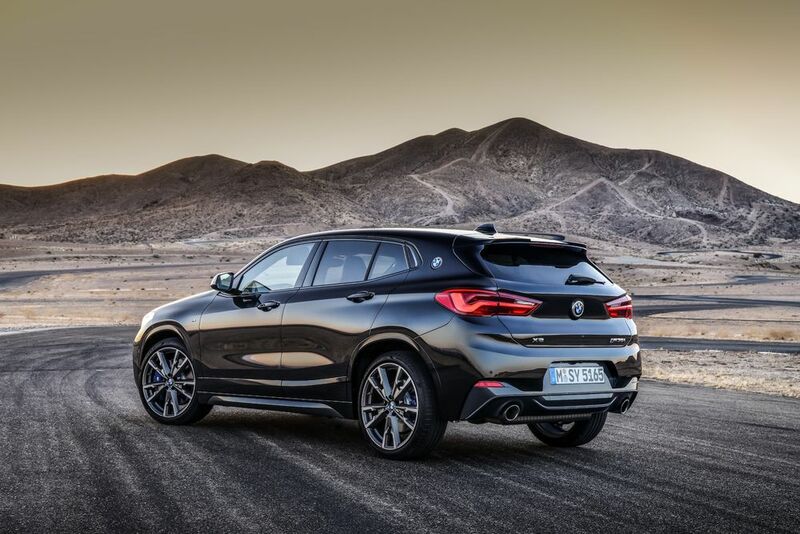 It’s based on the X2, which, with a transversely-mounted engine, isn’t exactly ripe for the fitting of a big six. So, a four-pot it is, but don’t worry, the one fitted to this new ‘X2 M35i’ has plenty of power. In fact, it’s BMW’s most powerful four-cylinder engine ever, developing 302bhp plus a useful 332lb ft of torque. How do they get so much power from such a small engine? Power is fed to all four wheels via an eight-speed automatic gearbox, and should you wish for a particularly brisk exit off the line, there’s a launch control system too. 0-62mph takes 4.9 seconds and, while there’s no word on the top speed yet, it’s almost certainly the usual 155mph electronically-limited affair. The car sits lower on stiffer springs and passive dampers, and there will be an adaptive setup available optionally. The rear axle has been completely redesigned, while at the front you’ll find a locking M Sport differential. To ensure the M35i isn’t mistaken for any old X2, it’s been fitted with various bits and pieces finished in Cerium Grey, including the mirror caps, some of the front vents, the new rear spoiler and even the two tailpipes. The exterior is finished off with a set of 19-inch M-Sport ‘715M’ wheels. 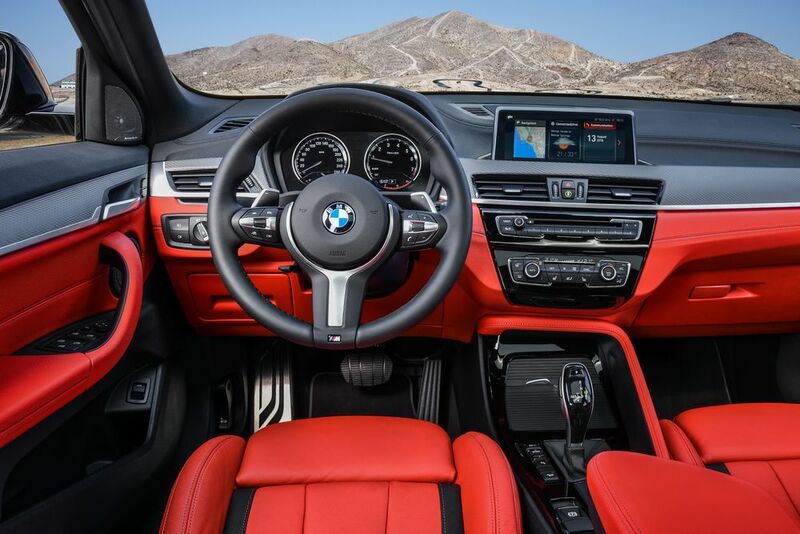 On the inside, you’ll find a leather steering wheel with some suitably large paddle shifters for the auto ‘box. 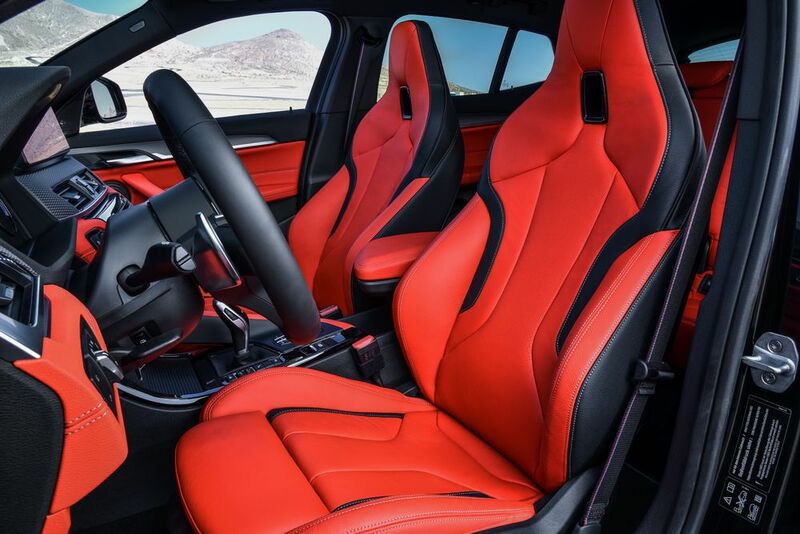 There are some particularly lovely-looking M sports seats, a full-colour head-up display and Apple CarPlay connectivity. A lot of that is optional in the European-spec cars. Production will start in November, but European cars won’t start rolling off the production line until March 2019. What’s particularly interesting about this car is it inadvertently serves as a preview for something else: the next hot 1-series. 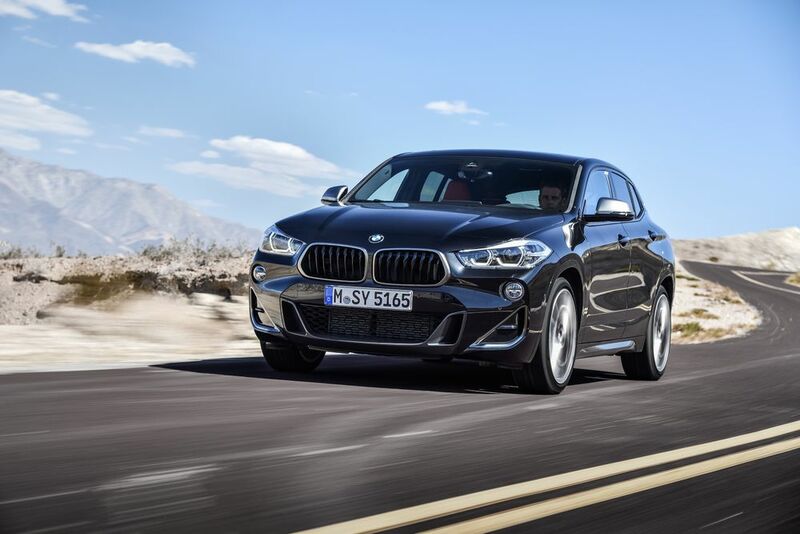 For the next generation, the 1-series will ditch its rear-drive layout due to its switch to the transverse front/four-wheel drive UKL platform – the same architecture used for the X2. So, it’s now safe-ish to assume that the car, which has already been spotted testing, will use the same 302bhp engine as this X2 (potentially with a little more power), be four-wheel drive and will probably be only for the M135i and up. What do you think of the X2 M35i, and the prospect of an inline-four-powered M135i? Video: Crazy Drifter Ryan Tuerck Has Fitted A Ferrari 458 Engine Into A Toyota Gt86! Video: Ferrari 488 Gtb Shocks Crowd With Massive Donuts And Rolling Burnout! Bmw's New Diesel Engine Makes Use Of Not One, Not Two, But Four Damn Turbochargers!